I love playing with spices and different types of cuisines. Curries are something we’re fairly new to and I wanted to try something simple, but delicious that my family would love. This curried pork stew fit the bill perfectly. 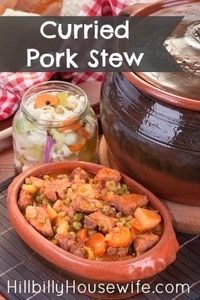 The recipe is from Tracy Robert’s new cookbook “Simple Crockpot Dishes For Busy Moms“. 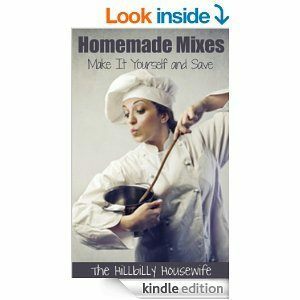 It’s a great book with lots of tips and yummy recipes. I loved the fact that I can cook it in the slowcooker, which is important on those busy days when I’m not sure if I’ll have time to cook a healthy dinner. The apple gives it just the right amount of sweetness that pairs so well with the pork. And of course it has plenty of curry powder. Make sure you get a curry powder with flavors that your family will like. We prefer certain brands over others, or you can of course make your own blend. The best part about using curry is that it has plenty of turmeric powder in it. This is a very healthy spice that’s been shown to reduce inflammation. All in all a very healthy dish. Just add some veggies or a salad along with some rice and you have a filling meal for the whole family. On stovetop in heavy skillet, heat oil on medium high. Brown pork and transfer to crockpot. In small bowl, mix water and curry powder. Once pork is removed from skillet, pour curry mix into that skillet and whisk to loosen brown bits from bottom and sides of pan for flavor. Stir mixture well. Sprinkle salt and pepper over pork in crockpot. Add apple and onion to meat. Pour curry mixture from skillet over all of the ingredients. Cover, cooking on low temperature setting for 7 to 9 hours until pork is tender. add some sliced carrots to the crockpot when you add the meat. Throw in a handful of dry lentils to cook along with the meat. Increase the water slightly. Add leftover cooked veggies during the last 10 – 15 minutes of cooking. Should you have leftovers, this is just as good warmed up the next day. Ready for more of Tracy’s delicious recipes? Tracy is a busy homeschooling mom who loves to create meals from scratch, but also realies on simple, easy meals frequently. There’s nothing easier than throwing ingredients in a slow cooker and, a couple hours later, putting something delicious on the table that everyone in the family loves. She put this ebook together to help women achieve the success of feeding their family real food that doesn’t require hours of slaving over the stove to make.